Made of durable plastic material, non-toxic, odorless, environmentally friendly and beautiful. As a seedling pot, you can plant a lovely flower, or you can match other sets of plants. This flower pot not only can be used for planting your flowers, but also can decorate your room, patio, garden or your office. Available Color: White, Beige, Khaki, Gray, Brick Red, Navy Blue. Notes:1.Flower pot only, plants are not included here. 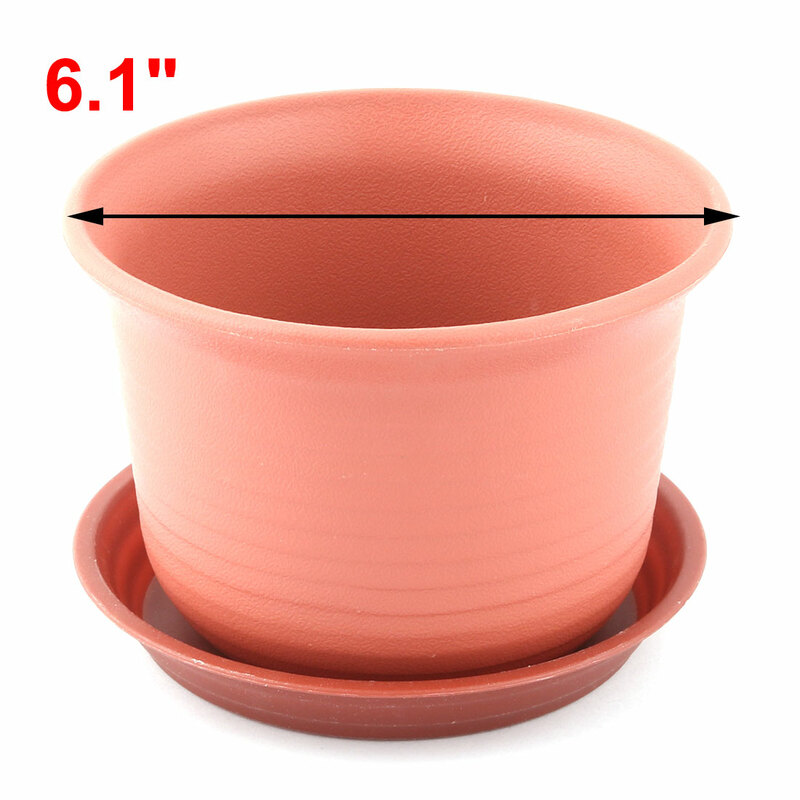 2.Please notice the pot size before you decide to purchase.3.Please allow 1-3cm error due to manual measurement. Pls make sure you do not mind before you bid.4.Due to the difference between different monitors, the picture may not reflect the actual color of the item. It can be used for planting your flowers, also can decorate your room, garden or your office. Flower pots suitable for tiny plants and ferns, succulents, vegetables, planting herbs, and annuals. Lightweight and high quality, can beautify your room, garden and your office.